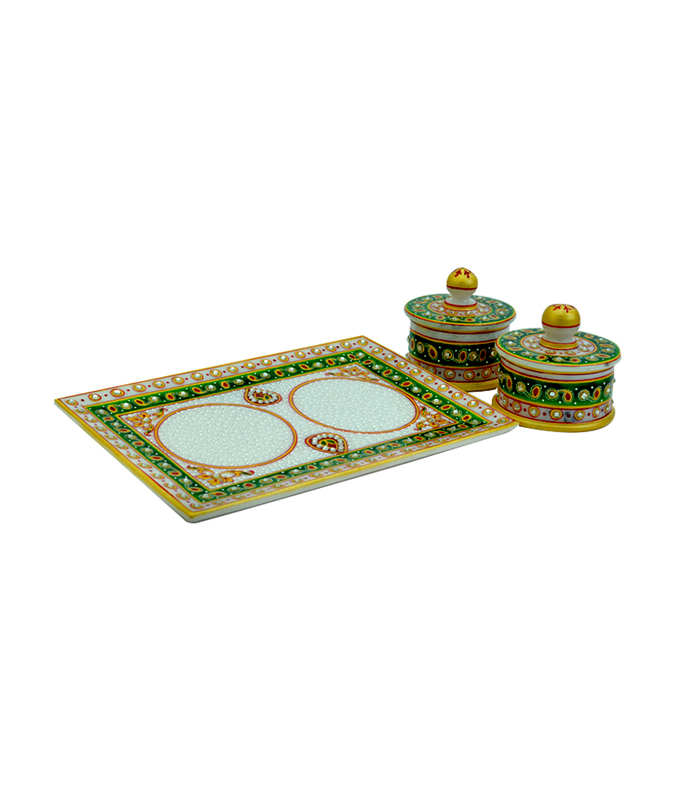 Beautifully handcrafted and hand painted with Rajasthaani meena kaari work, this marble dry fruit tray in square comes with a round shape one container. 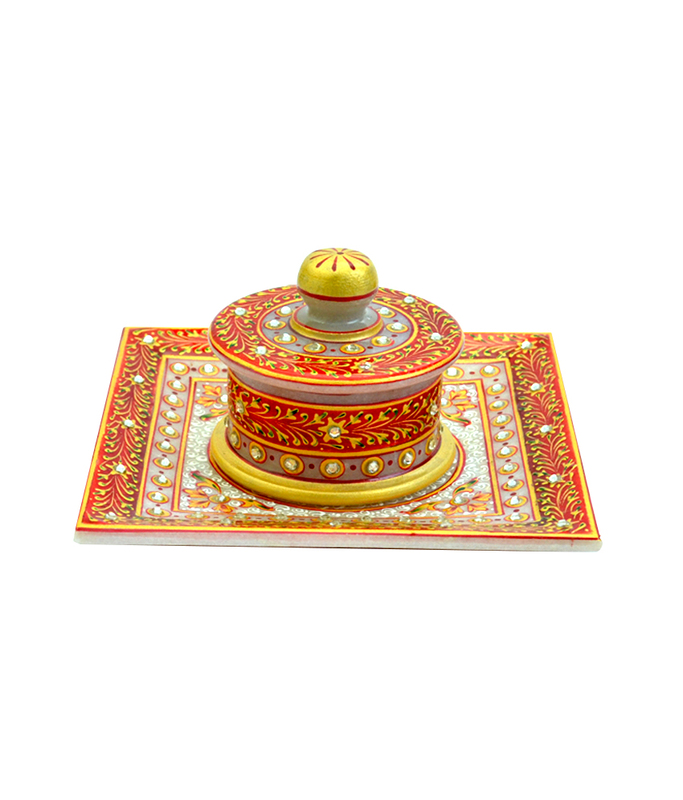 Container comes with beautifully design lid.Supari/Paan Gold Painted Red Tray with Utility container jeweled with Meenakari and Kundan work - A masterpiece in marble. 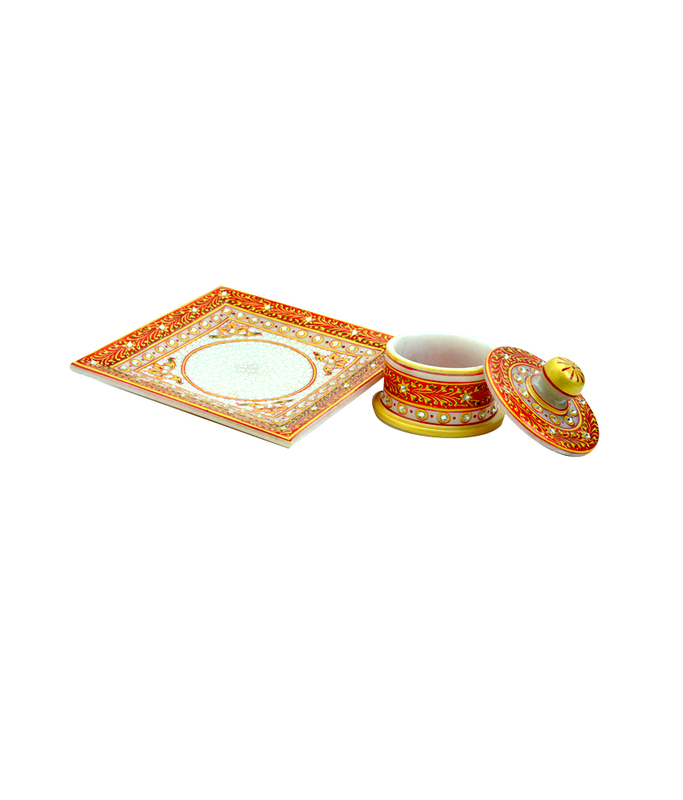 Adorned with subtle stokes of gold work to add brilliance to your home decor.It can also be used as supaari daan,utility container,dry fruit server ,decorative platter .A real beautiful piece for your dinning and central table and a excellent gifting idea for your near or dear one on the occasion like Birthday, Anniversary, Office inauguration, Deepawali and all. 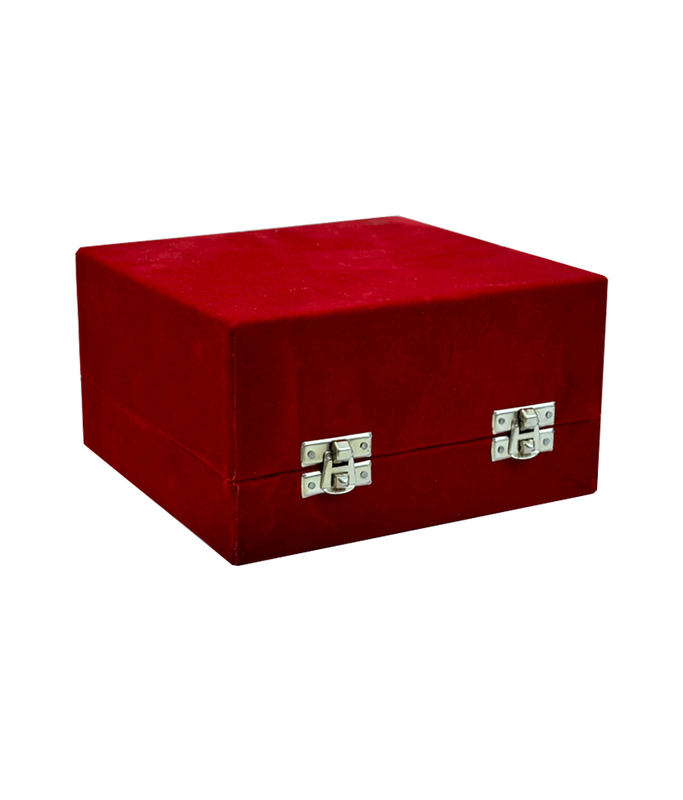 Product colour may slightly vary due to photographic lighting sources or your Screen settings.